HighPoint recently announced the RocketRAID 4522 Host Bus Adapter (or HBA). 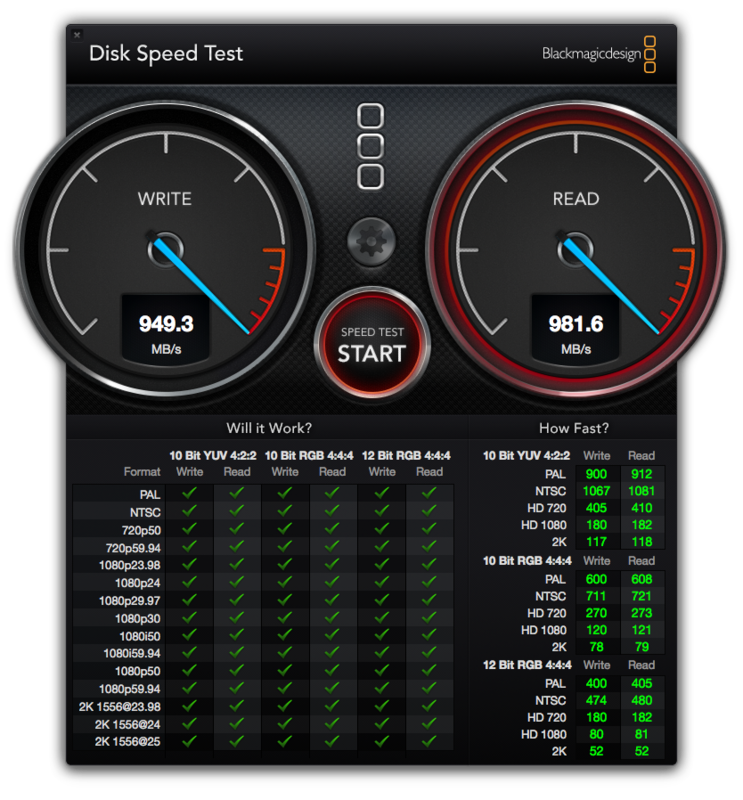 Some of you may remember our previous tests of the RocketRAID 4320 and RocketRAID 4322 using the 2009 Mac Pro. Why is the RocketRAID 4522 HBA significant? What are its strengths? It is superior to the original RocketRAID 43xx series in that it is 6Gbps rated instead of 3Gbps. Yet if you are currently using a RocketRAID 43xx series HBA, you need do nothing to migrate to the faster RocketRAID 4522 HBA. Your current RAID set will mount without having to be rebuilt. For RAID 5 and other RAID modes that involve parity checks and occasional rebuilding, the 4522 has its own processor and ECC memory. There is no performance hit to your Mac Pro's CPU for those functions. Though a RAID adapter like HighPoint's RocketRAID 2744 is capable of higher transfer speeds, it lacks the onboard processor and memory. That's fine for RAID 0 but can be a weakness for RAID 5 operation and maintenance. 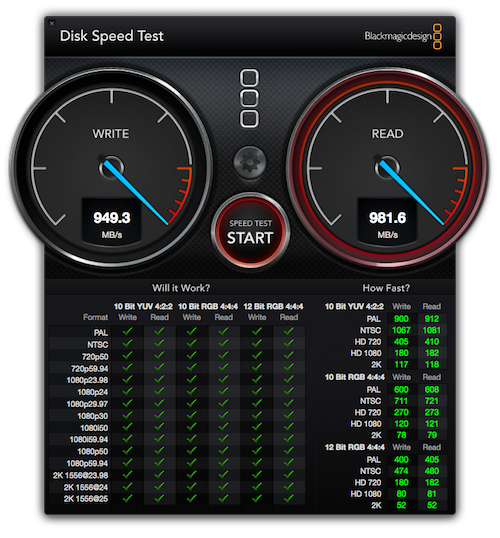 The RocketRAID 4522 was mounted in slot 2 of a 2010 Mac Pro Westmere 6-core 3.3GHz. The drives were mounted in the Stardom ST8-U5 eight bay enclosure. The SSDs were a mixture of 6Gbps SSDs from TransIntl and Samsung. The HDDs consisted of four Seagate Barracuda 7200.14s and four Hitachi 7K3000s. We included eight 6Gbps SSDs in RAID 0 mode to show the maximum possible transfer speed for the HighPoint RocketRAID 4522. However, the HDDs cost less per gigabyte and, as you can see from the graphs, provide sufficient speed for most applications. as well as initialization method, cache policy, block size, and sector size. The HighPoint RocketRAID 4522 is a fast and flexible 8-port, 8-lane PCIe RAID adapter and a useful way to "soup up" your 2008 thru 2012 Mac Pro.